Yesterday, I attended the annual lecture at the Brontë Society summer festival, this time delivered by acclaimed biographer of Charlotte Brontë, Claire Harman. 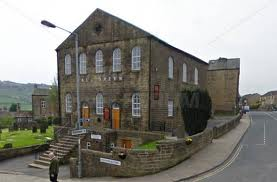 The venue, Haworth’s large and impressive Hall Green Baptist Church, was packed to the rafters, so much so that I had to take a seat on the upper balcony. There were initial microphone problems, and at one pound a battering noise on the door as if somebody was trying to break in (reminiscent of Cathy at the window of Wuthering Heights), but Claire carried on like the professional she is and delivered a very interesting lecture. In effect, the theme of the lecture could be called ‘To Write Invisible’, coming as it did just two days after completion of the BBC’s filming of the new Brontë drama ‘To Walk Invisible’ in Haworth. Claire looked at why the sisters chose anonymity, how their true identities were revealed, and how Charlotte craved anonymity once more even after she had gained fame and success. Charlotte also writes that the choice of names was ambiguous, rather than being positively masculine, which Claire repeated in her lecture, and which I have also heard Juliet Barker proclaim. In my opinion, however, the names are distinctly masculine, and Charlotte in her account was trying to circumvent any charge of dishonesty. An example of the maleness of these names would have been well known to Anne at the time. Ellis Cunliffe Lister was the MP for Bradford, and he was also the father of Mary Ingham who had employed Anne as a governess at Blake Hall in Mirfield. Claire also pondered why they craved anonymity. Emily, especially, was very desirous to keep her writing life a secret, but this was an extension of her extreme reserve and aloofness witnessed by Elizabeth Gaskell. Mrs. Gaskell was careful to draw a distinction between Anne’s shyness and Emily’s reserve. She said that Anne would have liked to please if she knew how, but Emily was indifferent whether she pleased or not. Anne and Charlotte had particular reasons to hide their authorships behind a mask, their writings contained many autobiographical moments, and real people hidden under assumed names. In Agnes Grey, for example, the Bloomfields are obviously representative of the Inghams and the Murrays of the Robinsons, the two families that Anne Brontë worked for. She was careful, however, to change not only their names but their ages, slightly, to hide the real inspiration behind her often brutally frank portrayals. Charlotte encountered this problem too with her portrayal of the dreadful head of Lowood school, the hypocritical calvinist Mr. Brocklehurst. He was closely modelled on Reverend. Carus Wilson, the head of the Cowan Bridge school that had led to the deaths of the eldest Brontës, Maria and Elizabeth. Charlotte would forever be adamant, as Claire Harman revealed, that the real life Cowan Bridge had been even more shocking than the fictional Lowood. Charlotte’s second novel, Shirley, contained a large number of her friends and family under fictional names. Emily and Anne were the heroines Shirley and Caroline for example, while her great friend Mary Taylor and her family became the Yorkes. This brought anxiety for Charlotte, would some of the people in the book recognise themselves and therefore recognise who the mysterious author Currer Bell actually was? Mr. Hall is one of the multitude of clergymen in the novel, and by far the kindest one. He was based upon Reverend William Margetson Heald, vicar of Dewsbury. He was more shrewd than Charlotte realised, however, and did indeed recognise himself. Shortly after the novel’s publication, the identity of Currer Bell was a matter of great speculation. A Haworth born merchant now living in Liverpool, John Driver, wrote to his local newspaper saying that he recognised the setting and many of the people in the book, and that the author must be from Haworth. Charlotte was fighting a lost cause, and the true identity of Currer Bell as the tiny obscure daughter of a clergyman from a poor, moorside village in Yorkshire was finally confirmed. By this time, of course, both Emily and Anne had died, and so Charlotte, in her biographical notice, revealed their identities too. Charlotte now became a literary sensation, and much sought after by society in London and elsewhere, but she soon longer for anonymity again more than ever. 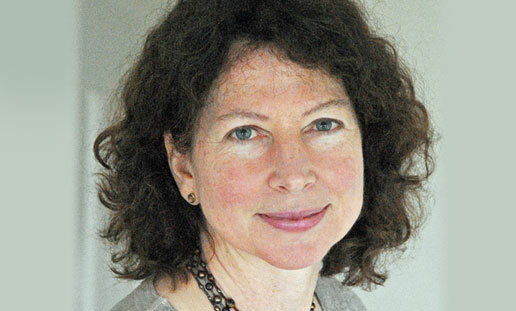 Her fourth novel (the third to be published) ‘Villette’ was her most personal yet. She revealed the true nature of her thwarted love for M. Heger, the stern teacher who had been her master in Brussels, and gave a searing and at times painful insight into her own character in the form of Lucy Snowe. She begged her publishers to publish the novel under another pen name, rather than using either Currer Bell or Charlotte Brontë. This would have been commercial suicide of course, and eventually the publisher managed to persuade Charlotte of this, although she then implored them not to advertise the book. The three Brontë sisters craved anonymity until the very end, only by obscuring their identities could these women gain the courage they needed to craft such incredible and often incredibly honest works. Timid in real life, under their anonymous cloak they were all powerful and dared to write anything. 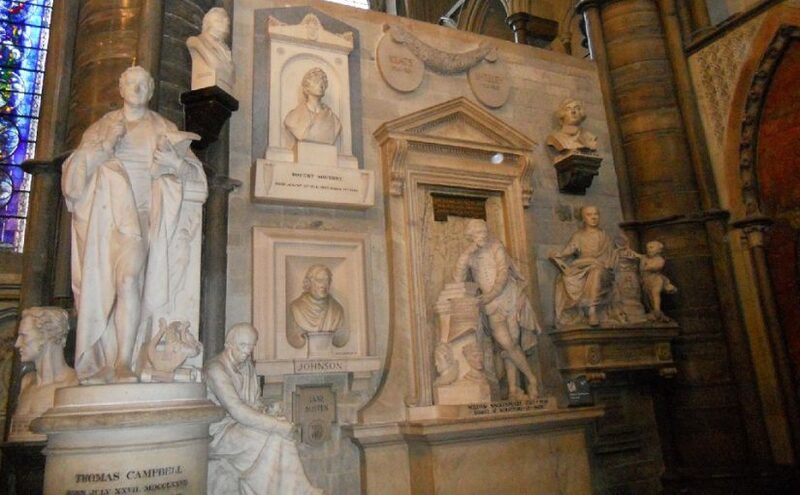 Today, of course, they are known and lauded across the whole world, and Claire finished her lecture by talking about her visit to Westminster Abbey to see poet’s corner on the 200th anniversary of Charlotte Brontë’s birth. Amidst all the pomp and statues, in the bottom right hand corner sits a relatively tiny engraving to Charlotte, Emily and Anne: ‘With The Courage To Endure’. 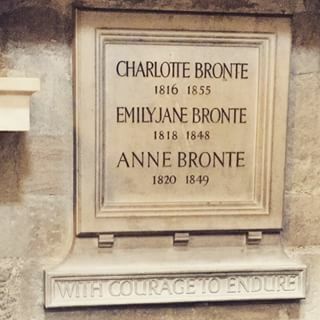 This motto itself is an echo of Anne Brontës final words to her sister Charlotte: ‘take courage’. This plaque may at first seem tiny and insignificant, as the girls themselves did to those who didn’t know their incredible secret, and yet fittingly it’s next to the statue of Shakespeare. Denied it in life, in death they have been placed among the true literary greats.